I can’t imagine that there are many around the world who associate England with World Cup victory. England won in 1966 against West Germany at Wembley in London with a squad of names some of which are still etched into children’s minds, those footballing heroes clad in red England shirts. England knows this, does the rest of the world? Gone is Beckham, gone is Owen and the golden gormless generation and time has passed and perceptions will inevitably have changed since then. Hooliganism isn’t a default association with English football supporters, and the UK doesn’t have a default association to the special relationship with George Bush and the U.S.A. Indeed some claim that at the moment, the United Kingdom has a strong cultural influence around the world, with the 2012 London Olympics and the royal marriage of William and Kate there are even claims that England‘s national team is perceived positively by other nations. In previous international tournaments I was ashamed to be seen as English for a long time. In that less than honourable time incidents included Euro 96, held in England, where after Gareth Southgate missed a sudden-death penalty to knock England out of the tournament, ugliness included a drunken rampage in Trafalgar Square and a Russian student stabbed five times because the idiots thought he had a German accent. There was fighting during the 1998 World Cup in France, a serious threat to be expelled from Euro 2000 hosted by Belgium and the Netherlands (a short train ride from England). Then in Euro 2004 Portugese communities were attacked close to their homes in England by thugs after the defeat to Portugal. Before there was a perception that was made all too accurately in national English football in the 1980s a time of disgusting behaviour, then we get Football Factory and Green Street romanticising club hooliganism. These things take time to move on. I’m older now, in my late twenties – I was a young teenager during France 1998. Masculinity is going through a crisis (just look at the comments in this link to see what I mean) and I just can’t shake the feeling that English football supporters are different nowadays, I’m not saying the world has turned and we’re all coloured tolerant, just that something’s changed. There’s no doubt that the consensus is that there isn’t much hope in England for this tournament but I’ve not even seen any England flags on cars as Will Buckley in his best miserly journalist impression predicted in 2013. What’s more, the most positivity towards the England team in The Mirror as of the day of the first game between Brazil and Croatia is that Wayne Rooney believes the squad is “probably the best squad of players I have been involved with since I have been with England“. Turning to The Sun and, I’m actually rather shocked to say this but the rhetoric is that we just want them to ‘have a go’. <sarcastic face>What on earth are the tabloids doing?</sarcastic face> If they keep this up then there might actually not be an unbearable amount of pressure on the team’s shoulders. Money has changed the ‘beautiful game’, of that everyone can agree. At the World Cup, the top three teams (financial worth) “Germany, Spain and England – are worth more than £1.7bn collectively. This is more than the bottom 20 teams combined”. Agents dominate and we have ridiculous headlines about divas like Yaya Toure whining about a birthday cake. However, crisis of character appears in many teams – we have France and racist accusations, Germany who responded with an admirable investment in youth, and Italy where damage to club football has damaged the national team. 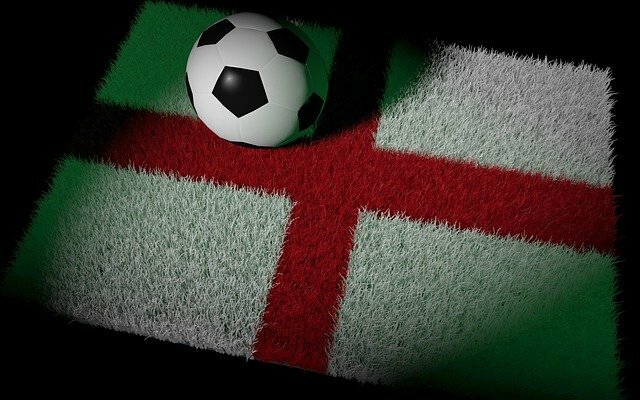 So putting panic and crisis aside, acknowledging that actually England isn’t the only national team demoralising their fellow countrymen and women and the rather convincing article that points out that England are actually in quite a good position and you never know – the England national team could be OK after all., it’s time to rebuild à la Germany! Still, it could be worse – I could be a USA ‘soccer’ fan trying to enjoy the World Cup.